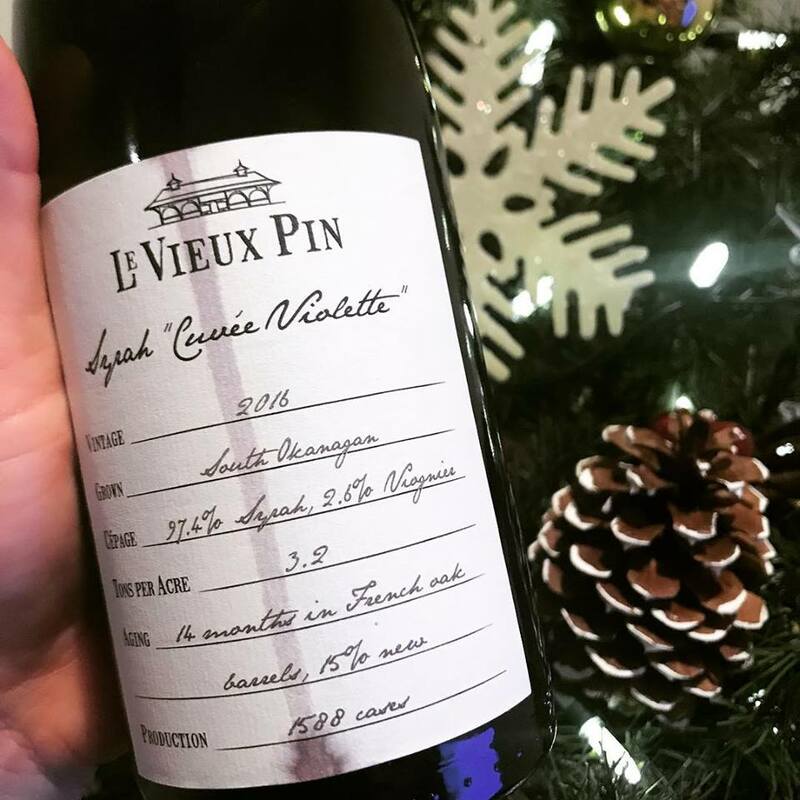 Have you tried the Syrahs from Le Vieux Pin? If you haven’t, you’re missing out on some of the finest red wines in the country. Although the ‘Cuvee Violette’ is their entry level offering, it’s delicious and complex. It’s a Cote Rotie-style blend of Syrah with just a pinch (2.5%) of Viognier. This wine is aromatic, light, perfumed and refreshing. This is a gorgeous Syrah that’s got the weight of a Pinot Noir. On the nose I get notes of prune plum, violet, blackberry, black pepper and a touch of prosciutto. The palate offers super smooth tannins and a peppery grip. This is a perfect turkey dinner red! If you’re not into turkey, try it with pan roasted duck breast or good charcuterie.